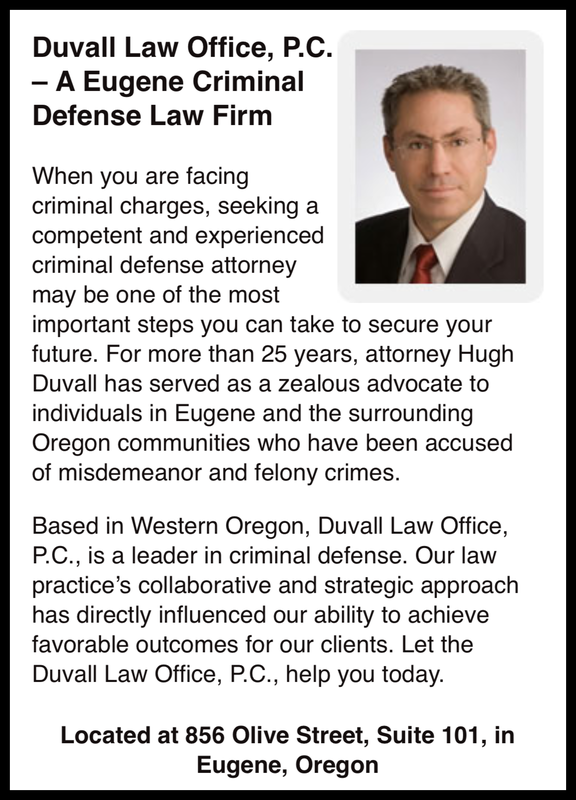 Call (541) 345-4500 to schedule an appointment with the Duvall Law Office to discuss your case with an experienced criminal defense attorney. The Duvall Law Office represents individuals accused of criminal (including Measure 11 offenses, domestic violence crimes, and drunk driving type charges – DUI / DUII / driving under the influence) throughout the state of Oregon. (g) Unlawfully use or abuse the persons position as a public servant by performing some act within or related to official duties, or by failing or refusing to perform an official duty, in such manner as to affect some person adversely. 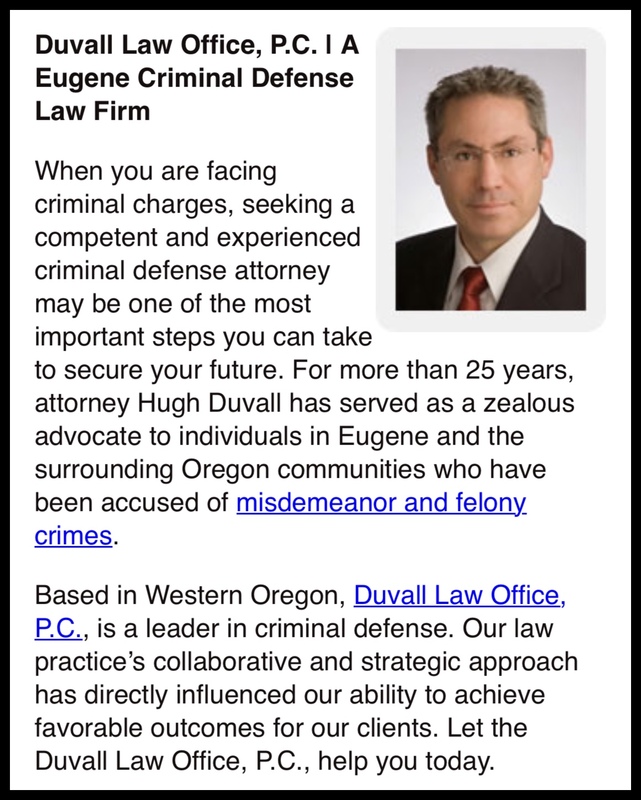 Whether you need to retain an experienced criminal defense attorney for a case in Eugene, Corvallis, Albany, Roseburg, or any circuit or municipal court anywhere in Oregon, call the Duvall Law Office at: 541 345-4500.